Choose ANY days during the eight weeks offered! 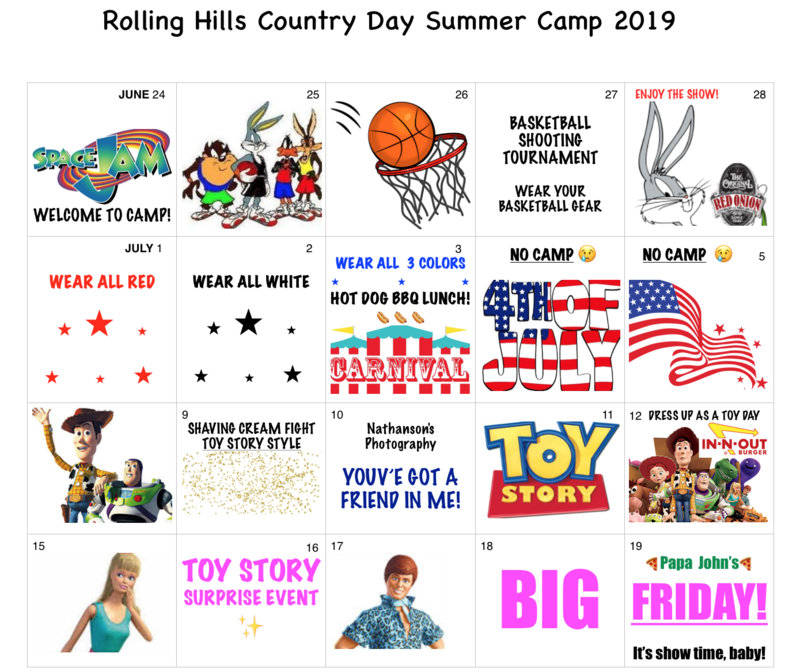 Rolling Hills Country Day School welcomes you to Country Day Camp, our fun filled summer program for ages 4 1/2 – 13. In addition to camp the school also offers a variety of academic courses including Summer School, Study Skills, and Experium Science Camps. Please note: Our youngest campers much have turned 4 by January 1, 2019 and our oldest campers are entering Grade 8 in the Fall. Summer is about being outside and staying active! This class was designed for fun on the field with water play and team sports like soccer, basketball, and other age appropriate sports. Draw! Paint! Get hands on and engage with your creativity. 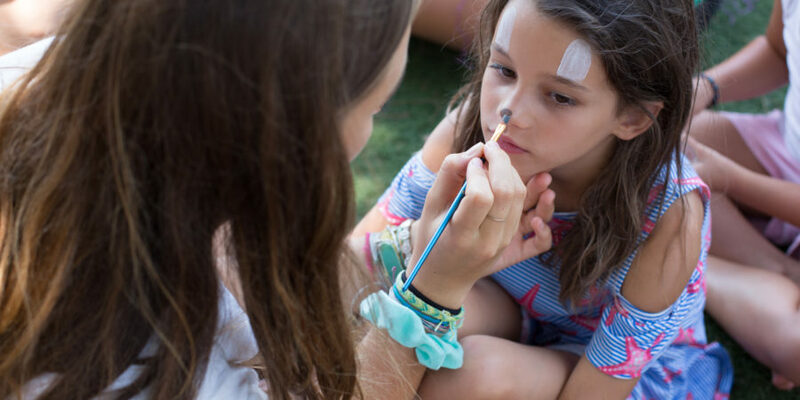 Campers love creating their own projects and learning from our dynamic art instructors. Campers of all ages will have the opportunity to play along with engaging dance instructors and learn the latest dance moves and songs. Kids love assembling their own tasty treats in Cooking class! Join in on culinary projects including baking cookies and using homemade recipes for pizza and ice cream. 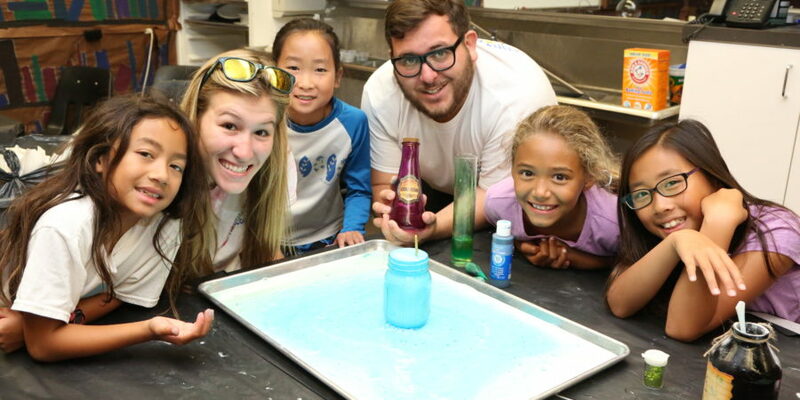 Let your children’s mind go wild in our newest camp activity! 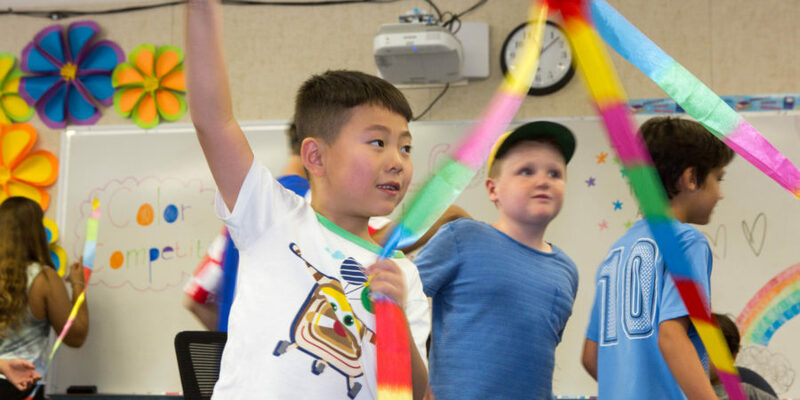 Campers will explore their creative sides like never before with a variety of activities that dig deep into their imagination. We wrap up every day with a high energy, camp wide meet up to sing songs, hand out awards and pie coaches with whip cream. Oh yeah, and yummy popsicles too! 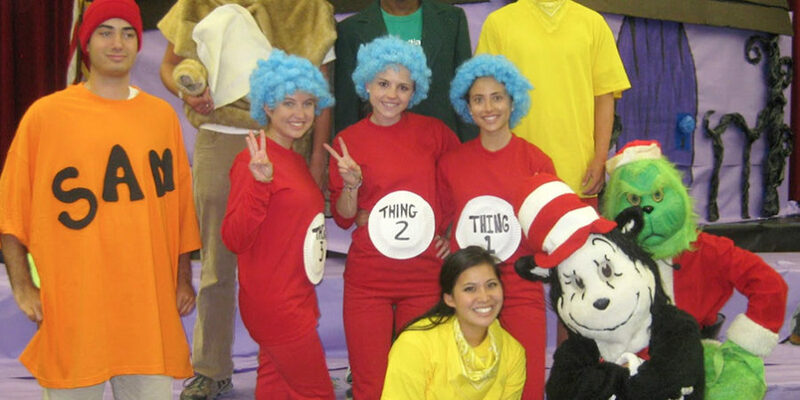 Every week has a theme with dress up days, contests and shows put on by our talented coaches. 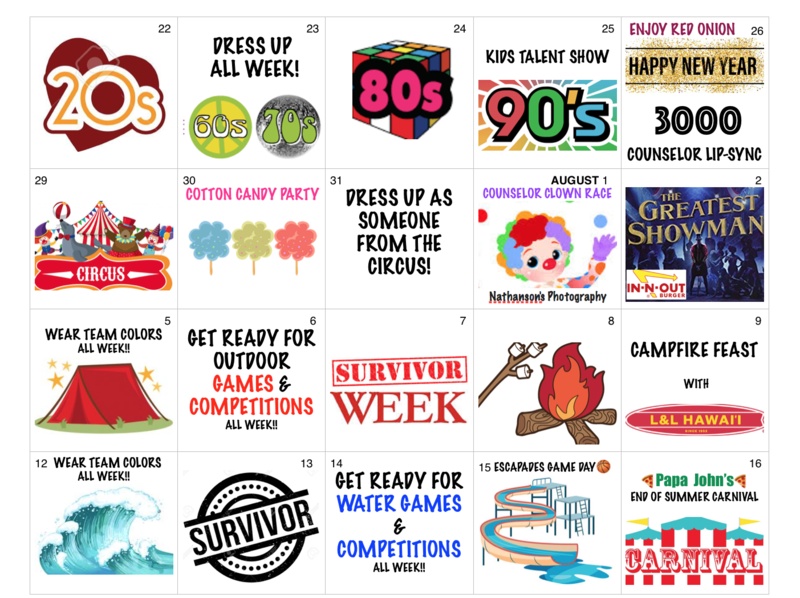 Check our calendar to see our weekly themes for this summer. Choose any days from June 24 – August 16, 2019. 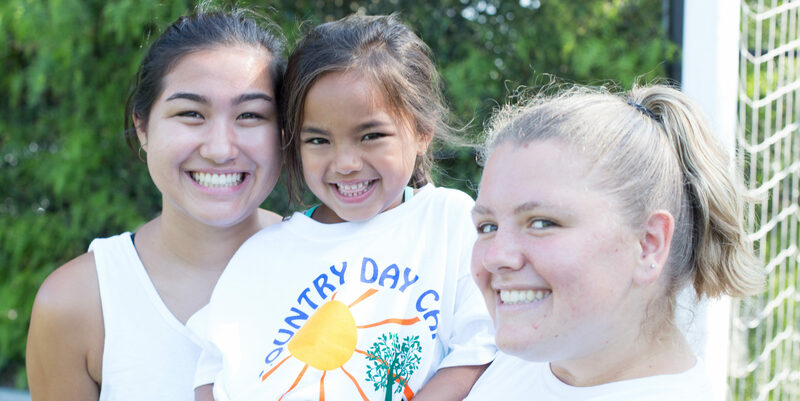 You may choose to come to camp for as little as one day or all eight weeks of summer. Full Day Camp Hours are 8:15am-3pm. Half Day Camp Hours will depend on whether you are signed up for a morning or afternoon academic/science program. Morning Half day camp is from 8:15-12:30pm and Afternoon Half Day camp is from 11:30-3:15pm. Half Day Camp is not available unless you are enrolled in Half Day academic/science programs. 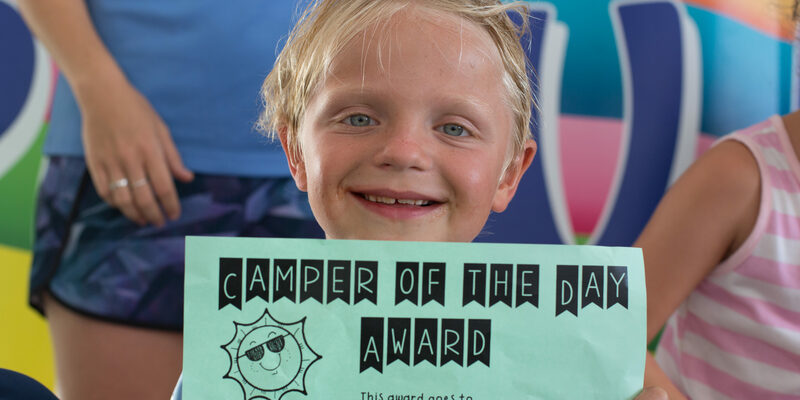 Please note: All Campers dropped off before 8am or not picked up by 3:45pm will be charged $11/hour or any portion of the hour and billed at the end of summer. Please refer to our extended care programs for more details. Approximately 10 campers per counselor. 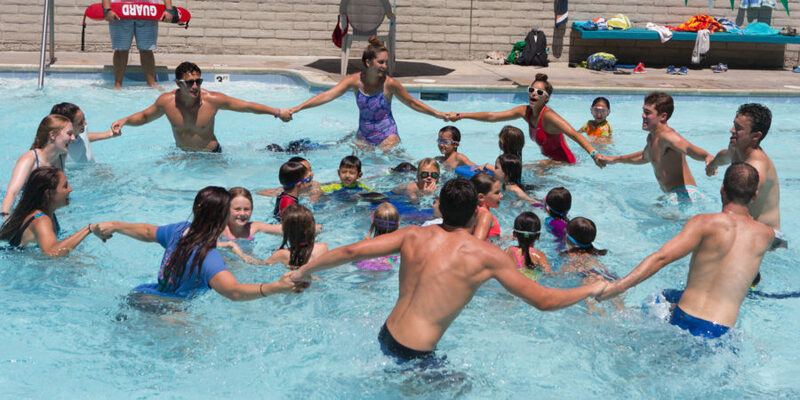 We have more than 125 summer staff members including directors, counselors, lifeguards, swim instructors, specialty instructors, and junior counselors. All of our full-time staff members are 18 years of age and older, and go through an intense interview and background check process. Everyone on our staff is both First Aid and CPR certified. We provide a delicious hot lunch, every Friday for all of our campers! Enjoy delicious food from a variety of local restaurants and the In-N-Out Truck. See Calendar for our Friday lunch schedule. Parents must pack a lunch Monday through Thursday, but have the option of ordering lunches through Kelly’s Korner. 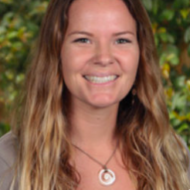 To set up an account with Kelly’s Korner please call 310-541-2234. You can have a lunch delivered at your child’s assigned lunch time as long as you call by 10am that morning. Click here to download the full menu & pricing. 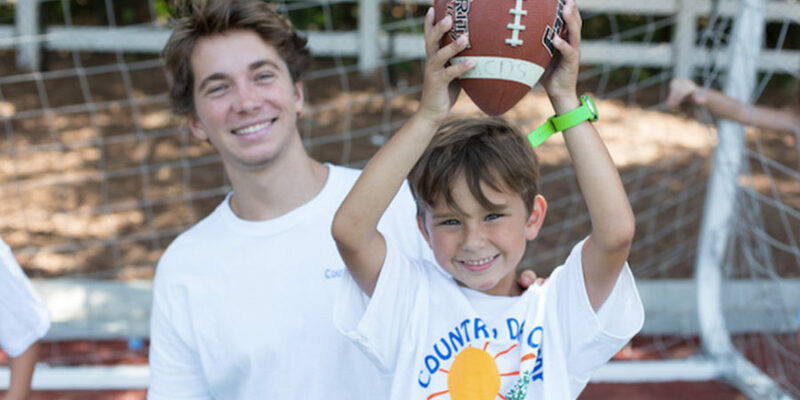 Rolling Hills Country Day School is proud to partner with the Pediatric Therapy Network to once again share our campus with Camp Escapades. 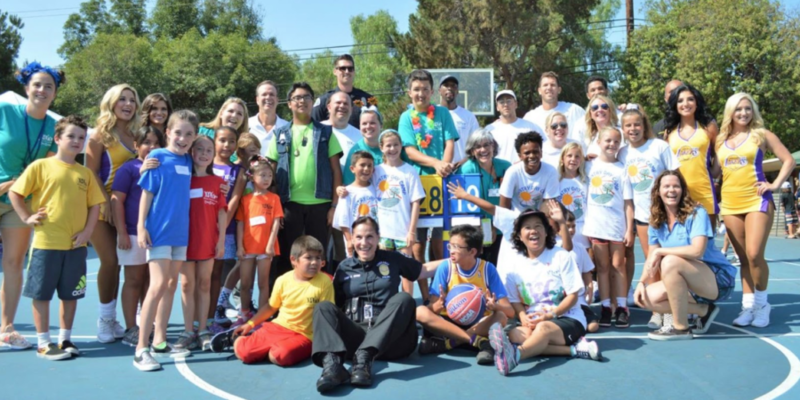 Camp Escapades is an innovative two-week summer day camp for children with special needs and developmental delays who are between 5 to 13 years of age. 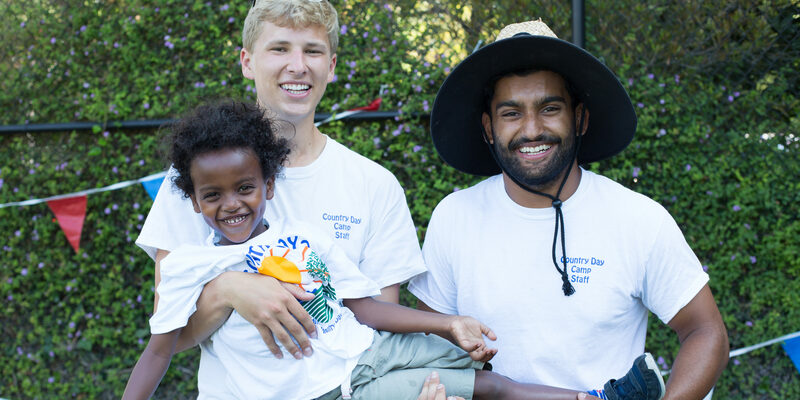 Camp groups are staffed with pediatric occupational, physical or speech therapists, paraprofessional educators, and one-on-one teen volunteers who are the child’s camp “buddy” throughout the week. 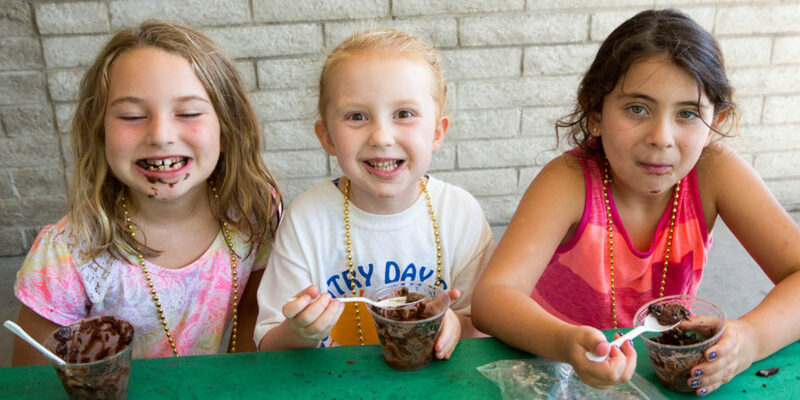 Campers enjoy arts & crafts, cooking, dance, moonbounces, sports, yoga, waterslides, special events and more! 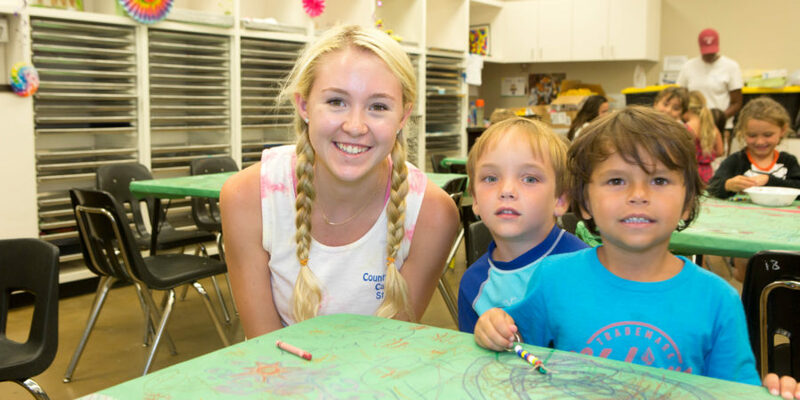 For additional information on Camp Escapades 2019, please visit www.pediatrictherapynetwork.org or email them at campers@ptnmail.org. 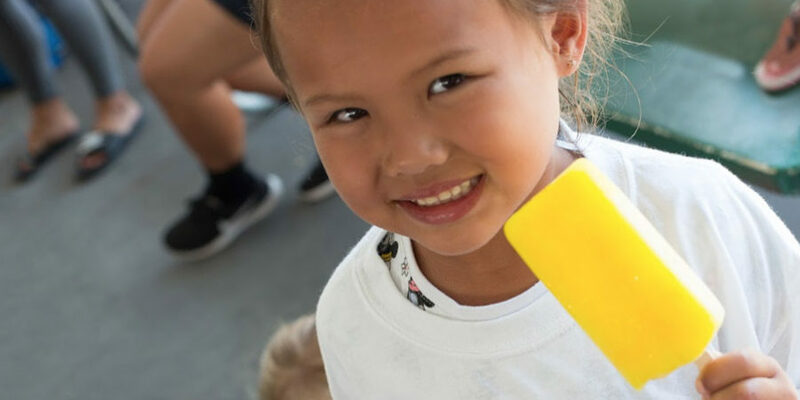 Theme Park Adventure Week is an amazing program designed to give children an opportunity to visit 5 Southern California attractions in a single week. 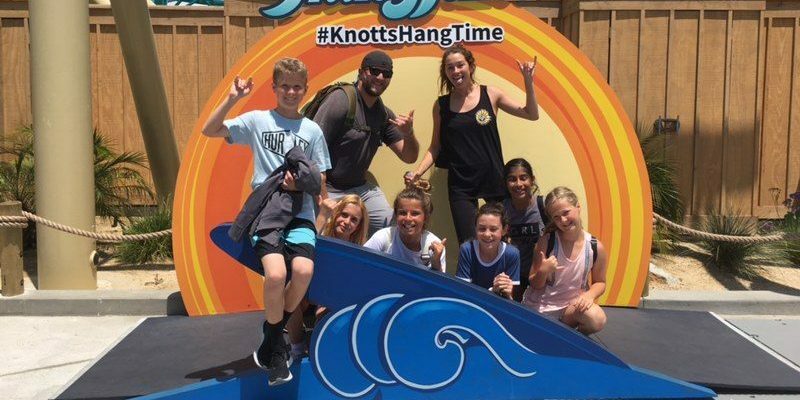 Each summer campers visit Disneyland, California Adventure, Universal Studios, Knott’s Soak City and Knott’s Berry Farm.